You will love the central location of the 4-star Mercure Hotel Heilbronn: The city center and the Neckar are just a short walk away, and the main train station is also within easy walking distance. Public transport will quickly take you to the attractions of the city or, if you're here on business, to company offices and institutions. All 136 rooms in our non-smoking hotel are air-conditioned and have free 24-hour WIFI. You can park your car in the hotel car park. The hotel's central location near Heilbronn's main train station makes arriving by train easy, and you can explore the city center easily on foot. Our tip: Heilbronn is a wine city, so the wine panorama path on the Wartberg is worth doing! KARLSRUHE : S4 K.SCHUMACHER PL. 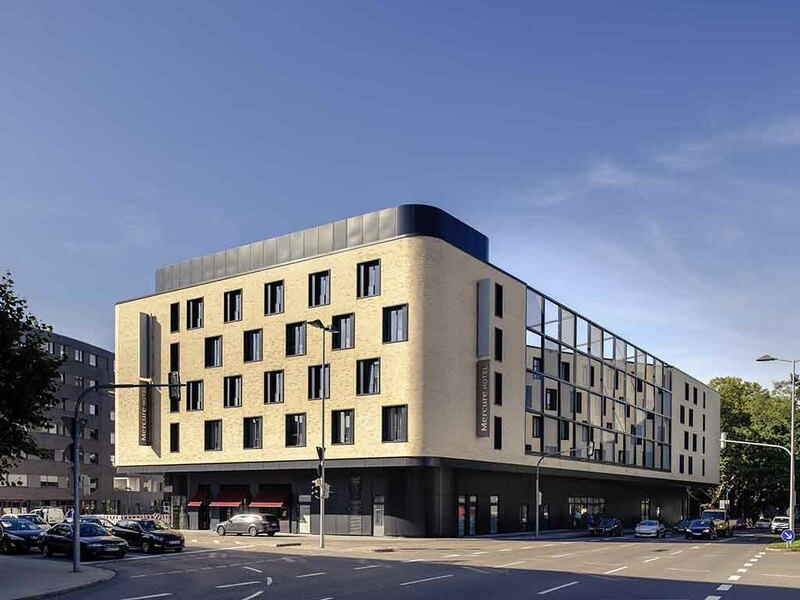 Our newly built 4-star Mercure Hotel Heilbronn has 136 air-conditioned rooms. Choose between Standard Rooms with a double bed or twin beds and Privilege Rooms with a double bed. The spacious Junior Suite has a double bed. All rooms are non-smoking. Amenities in the room include free 24-hour WIFI and a desk, as well as a flat-screen TV. One child up to the age of 12 may stay in their parents' room free of charge. Small pets are welcome to stay with us (EUR 10/night). In the Mercure Hotel Heilbronn restaurant you can go on a culinary world tour while remaining in the center of Württemberg, with many popular international dishes on our menu. The restaurant is open daily from 5PM until 11PM. Heilbronn is famous for its wines - at the bar, you have the opportunity to try a locally produced Riesling or Trollinger. Of course, we will also happily serve you a cold beer or any other drink, every day from 4PM until midnight.